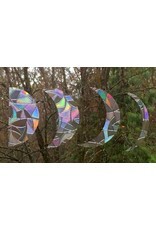 Home / Window Gems, Moon series, Prism, Protect Birds, LOCAL! 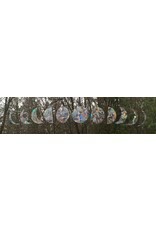 Moon Phase Window Gems come in a package of 11 gems. 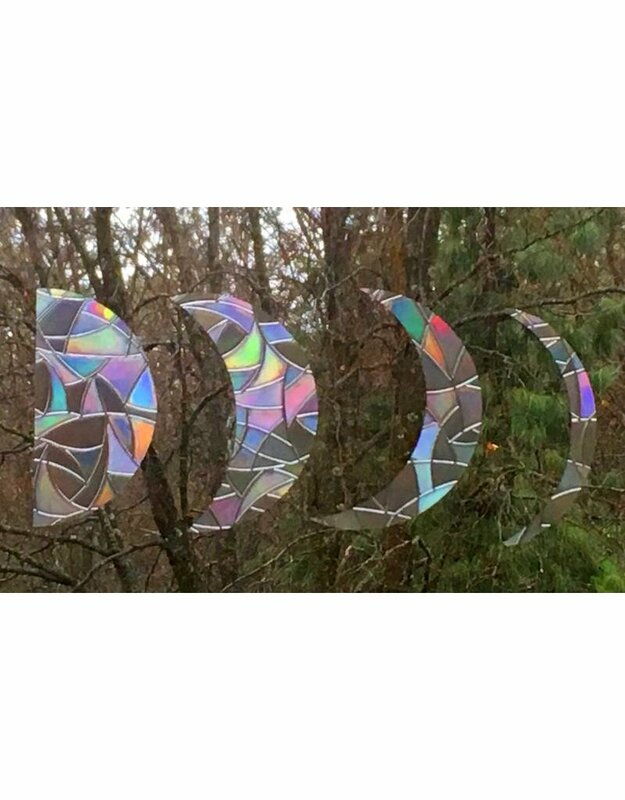 The shapes follow the moon phases from crescent moon through full moon and then back again to a crescent moon. 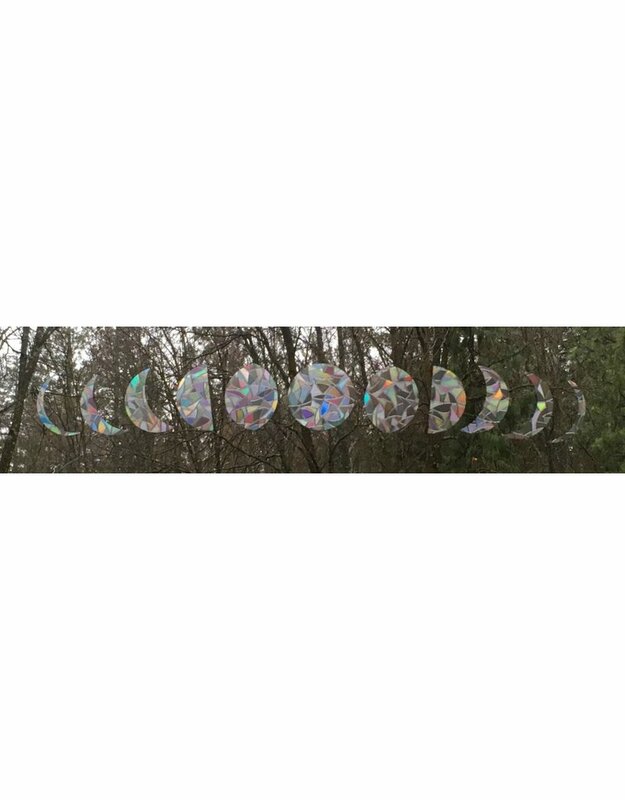 The full moon circle is about 3.5" across. All the other moon shapes are based on that 3.5" diameter circle. Place them on the outside surface of windows to warn birds away and then enjoy safer happy birds and gorgeous rainbows when the sun shines through the window gems.